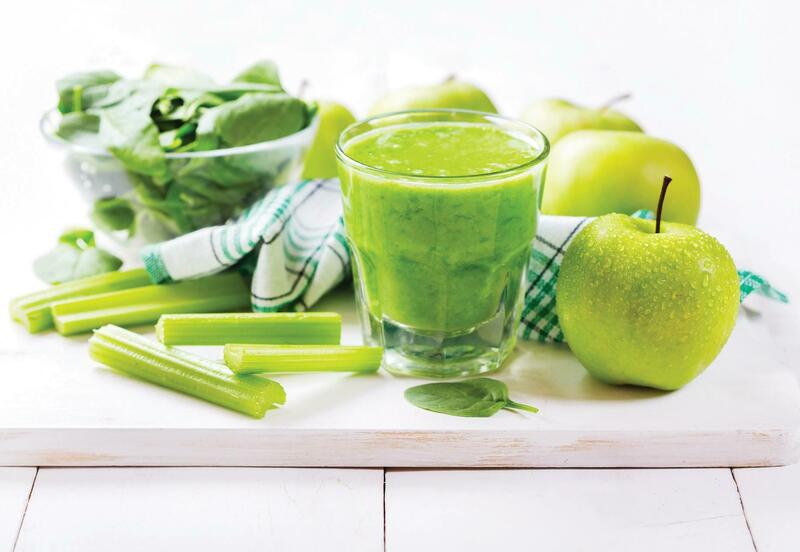 Celery juice has boomed in popularity in the last year, but it can be tough to drink straight. This recipe mellows out the flavor while giving it a nutritional boost. Have you jumped on the celery juice craze yet? While we're not convinced it is the cure-all being touted by celebrities and supermodels, celery juice certainly has health benefits and can help with digestion and skin. However, pure celery juice can sometimes taste like drinking garden waste, so here's a recipe that balances out the strong flavor while adding extra nutrition. Cut the celery stalks into small pieces and juice alternately with the spinach. Cut the apple into 6 pieces (or use an apple slicer) and juice with the lemon. Drink on an empty stomach at least 15 minutes before eating. Celery is full of long stringy fibers which can get twisted on the auger or plug the pulp outlet, so make sure to cut it into pieces. For the best results, use a horizontal single auger juicer like the Sana 707, as the pulp outlet is large and unlikely to get plugged.